This one-phase gel with superior adhesion guarantees a long lasting result. Even on problematic nails! 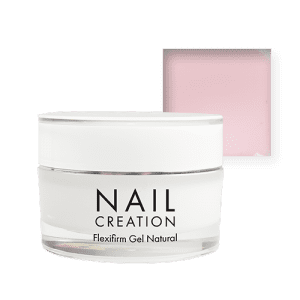 The gel is highly flexible, which makes it perfect for application on thin and weak nails. To increase the comfort for the client, this formula is specifically designed with ingredients, which assure low heat emission during polymerization. Available in two colors: clear and semitransparent natural pink.